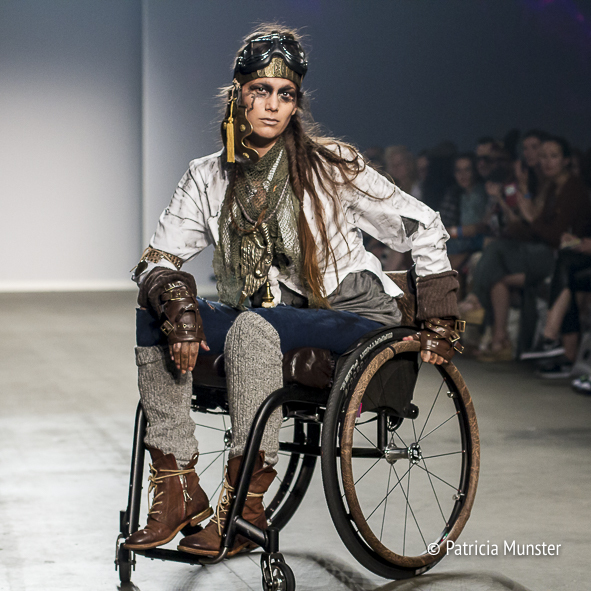 Warriors of the New Revolution was the theme of Kelly Sue Fashion Show during the 25th Mercedes-Benz Fashion Week Amsterdam. 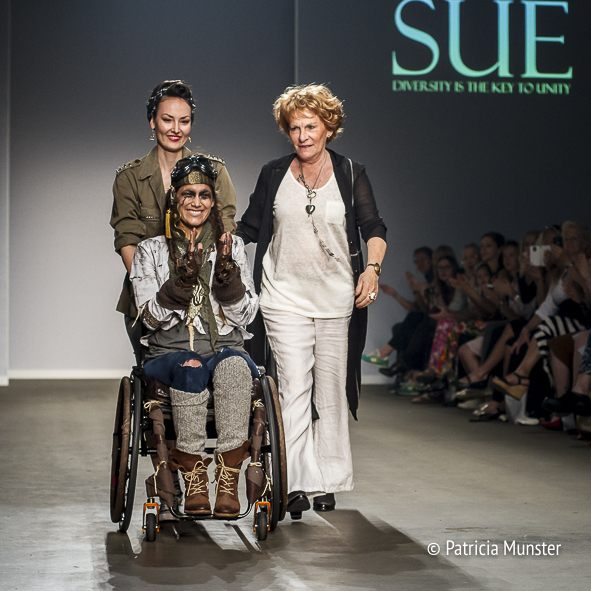 The show by SUE featuring VJR jewels was about making a change, about broadening your horizon, about opening your eyes. There is more, it is bigger. It is time for a change. Beauty is everywhere, diversity is the key to unity. 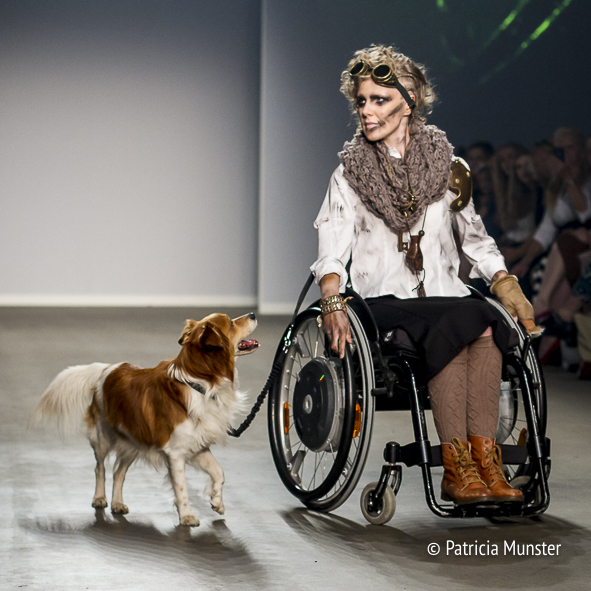 Kelly Sue brought the audience to silence, Roos Prommenschenkel opened the show wearing a a blouse and trousers especially designed for wheelchair users. Each model showed something unique, it was very impressive. I loved the styling, showing power, combativeness and temperament, the real warriors of a new revolution. 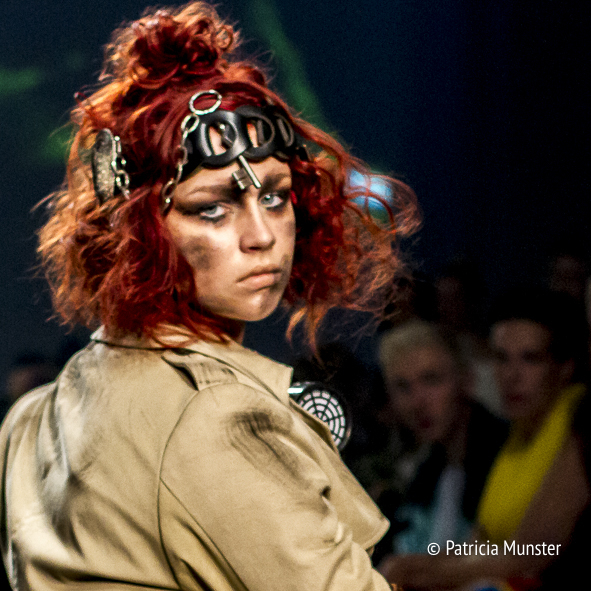 The jewellery by VJR jewels, designed and restyled by Marianne Moerman created the total look. Marianne Moerman creates pieces of antique, vintage and natural treasures for VJR jewels. 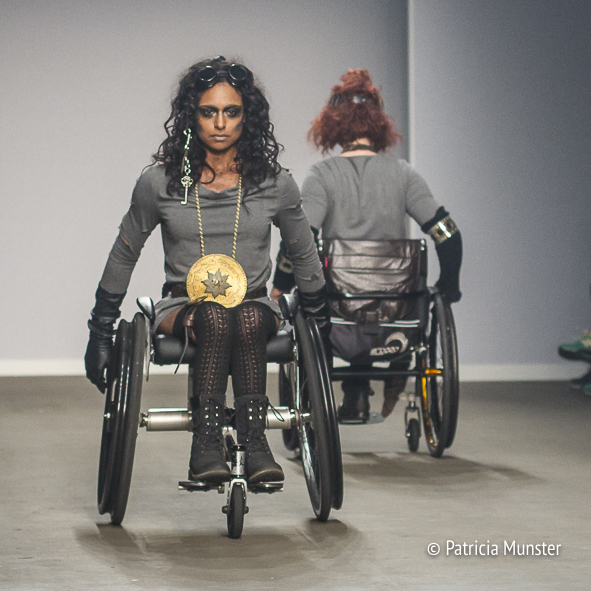 The wheelchairs of Progeo were pimped by Roos Prommenschenckel. The key items of Sue's collection are the trenchcoat, the jeans, basic tops, blouses and a pencil skirt. The patterns are created in a way to provide comfort while sitting all day. The fabrics are elastic and breathable. 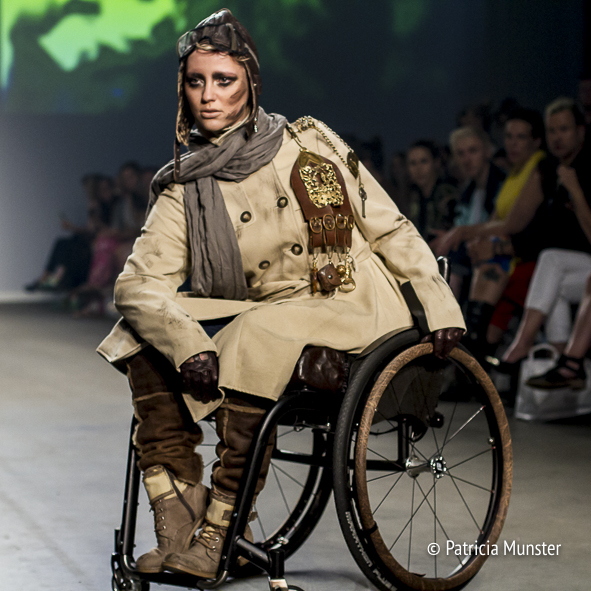 A real wheelchair fashion collection, patterns, fabrics and looks are considered excellent!